Kristin Rand always had a fascination with questions science had not yet answered, and she developed an interest in genetics while still in high school. She obtained an undergraduate degree in the Diagnostic Genetic Sciences program at UCONN. FDA law and bioethics were the focus of her graduate degree in law, and she later earned a master degree in industrial-organizational psychology. After serving in various positions at Wyeth and Genentech, she landed at Seattle Genetics, where she currently serves as executive director of compliance. In this piece she discusses trends in pharma compliance, and challenges companies can expect to face in 2014 and beyond. Ed Miseta: How would you define your role as executive director of compliance, and how has this role changed over the years? Kristen Rand: I see my role as protecting the company and its employees so we can conduct our business and allow for patients to receive the best care possible. As the compliance profession has evolved, it has moved from being perceived sometimes as a roadblock to getting things done to being viewed as a valued business partner. My role is to enable people to achieve their objectives within the law. If we do not conduct business within the law, the company, our patients, and our employees will all suffer. When employees understand this, they feel comfortable teaming up with compliance personnel. So first and foremost, employees must understand that compliance is there to help and protect them. Only then will they feel they can partner with us to achieve their goals. Gaining and maintaining trust from our employees is a primary objective for me. Without it, I can’t do my job. Miseta: What are some of your daily responsibilities in the compliance department? Rand: We spend a lot of time focusing on policies and SOPs; determining and refining how we operate and what is considered appropriate behavior. We implement training to make sure everyone understands what is acceptable and has the appropriate tools and resources they need to be compliant. We then perform auditing and monitoring to assess that the policies are indeed understood and being followed in everyday business and to evaluate the overall compliance program’s effectiveness. More recently we have started placing a greater focus on transparency as a result of the Sunshine Act. The law requires that we track payments to physicians and teaching hospitals starting in 2013, with the first report due to CMS in March 2014. Many biotech firms are now pulling together resources to gather the data and verify that it is accurate and complete. FCPA (the Foreign Corrupt Practices Act) is another area of focus which has many companies creating policies and ensuring employees are properly trained. We operate primarily in the U.S. but the Act is still relevant for us because of our involvement in clinical trials outside of the U.S. Finally, we perform annual risk assessments. This involves taking a close look at the business and performing interviews with employees to determine where there may be risks that need to be assessed. Miseta: Women in the pharma and bio space seem to do quite well in the compliance area. Do you believe their success in this area has to do with how women are able to relate to people? Rand: Leadership style has a lot to do with it. To be successful in a legal and compliance role, which is employee and partnership centric, you must be collaborative, understanding, skilled at communication and perform a lot of mediation. These are skills many women excel in applying. Empathy is certainly a key part of this job as well – putting yourself in the shoes of the employee to try and understand their objectives, feelings, and why they do things a certain way or would like to do something. If you look at things from a purely business perspective, it’s easy to miss out on a lot of things that are driving employee behavior. 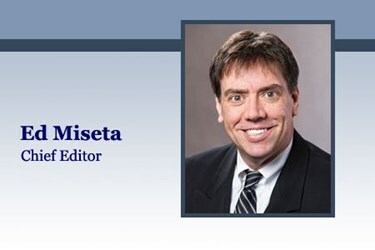 Miseta: Are there any trends you see occurring in the compliance space? Rand: The most significant trend I see is the elevation of the role of compliance within healthcare organizations. I think one of the goals of the government is to make the role of the compliance department more substantial and a function of high accountability in these industries. In the past, the compliance role in many companies could have been a mid-level position primarily responsible for checking off boxes on a form to evidence process was followed. Today in many companies it has become a strategic, high-level position in the c-suite. In recent corporate integrity agreements, the government has requested that compliance not report to the general counsel, rather operate independently at a similar level within the organization and with a direct line to the CEO and board of directors. Miseta: Do you see any new challenges coming in 2014 and beyond? Rand: Global regulations are increasing and are moving from something just on the radar to the point of requiring action. This is something companies need to be concerned about even if they are not marketing a product globally. The regulations may apply if you are conducting trials overseas or have any involvement with medical professionals that reside in other countries. There is a French Sunshine Act now and other countries are getting close to finalizing their transparency laws. In addition the European Federation of Pharmaceutical Industries and Associations (“EFPIA”) adopted a new code, which requires pharmaceutical companies to publicly disclose, in 2016, their 2015 financial relations with healthcare organizations and healthcare professionals. This is a whole new area of compliance that will stretch the resources of U.S. organizations, but which will have to be addressed. Miseta: How does WIB help women in general in the bio or pharma industries? How does your involvement benefit you personally? Rand: WIB provides the opportunity for women to excel in the industry through networking, educational events and development opportunities that result in productive relationships, knowledge and skill acquisition. I really like that it is a focused organization, particular to life sciences, which allows for optimal impact, especially at the community level where collaborations can easily develop. The Seattle area is a ripe environment for the acceleration of females into leadership roles with the support of WIB. We have many members from diverse areas including professionals at leading pharmaceutical, biotechnology and device companies, non-profits, academic institutions, and support service companies, including law firms, consultants and financial service firms. Personally I have always been very passionate about career development and helping people achieve their goals. WIB provides the opportunity to assist women with understanding what they want and how to get it. I find extreme gratification in knowing that my efforts and those of other WIB members result in women leading happier more productive lives via career and work-life balance fulfillment. I am also excited about the progress our Young Women in Bio Committee is making educating middle and high school students and increasing their interest in pursuing a career in the life sciences industry. I look forward to seeing the Seattle Metro chapter of WIB continue to grow and to observe the effects it has on women in the life sciences industry in the Seattle area and beyond.